Agile Lock customizable my lock screen and make more attractive. It is the replacement of lock screen, Sense 3.0 like, it gives a COOL lock experience. 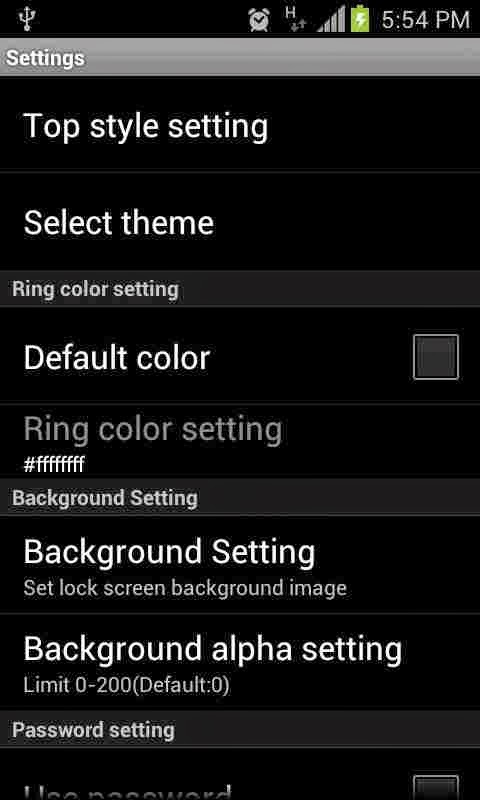 More customization available in setting. 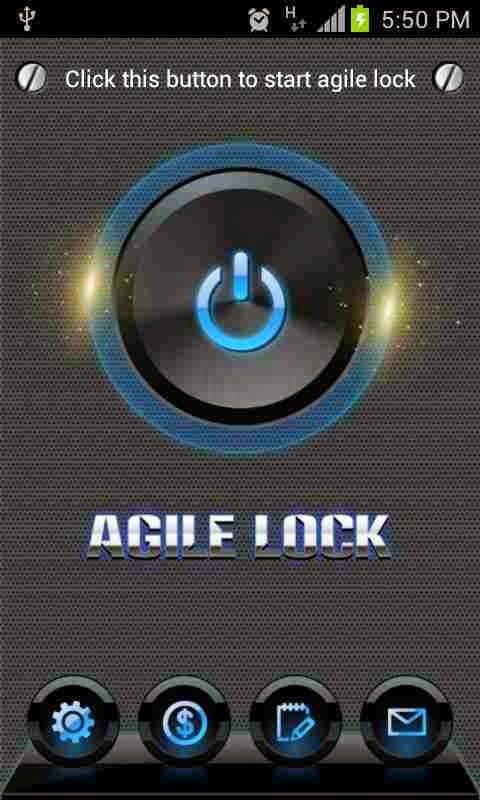 Open the app AgileLock, touch the flashing power button in the middle of the screen. When the yellow circle around appear around the power button, your App starts to run on your phone. If you have facing issue with the power button, such as light screen cannot appear with power button, you can use the setting item "Fix power button issue" for resolving this issue. Fixing the "Block HOME key wizard" for your home button issue. If the shortcut of App not working, replace them with the apps on your phone. For disable status bar go to setting and "Disable status bar expand"